Recently, a study revealed that parents should really limit the amount of screen time that their children have to just two hours a day, especially since an increasing body of research suggests that all that eye strain is causing a disturbing rise in nearsightedness in both kids and adults. 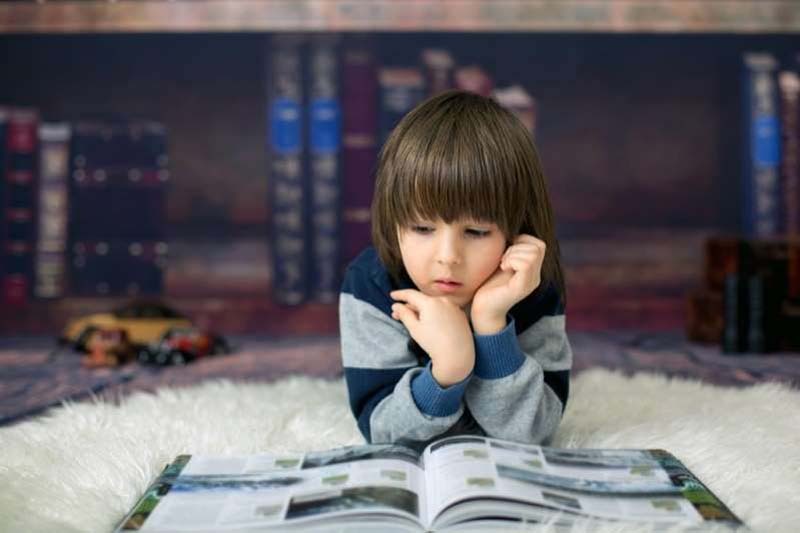 Now, a new study published in the journal Social Science Research states that, if you want to have a sharp kid, the best thing you can do is not only encourage them to read real books, but also keep a fair number of them around the house. Researchers asked 160,000 adults, from 31 different countries, who took part in the Programme for the International Assessment of Adult Competencies between 2011 and 2015, how many books were present in their homes when they were growing up. They then compared these responses to the results of a series of tests the participants took to measure their literacy, numeracy, and information communication technology (ICT) skills. What they found was that those who grew up with almost no books in their homes scored below average on literacy tests, while those who had about 80 in their houses by the time they were teenagers scored about average. The positive correlation between the number of books in the house and literacy levels continued to rise after 80, but plateaued after 350. In addition, the paper argues that, for now at least, there’s not enough evidence to suggest that the literacy gains of print books can be replaced with e-books consumed on an iPad. It’s an important finding, given that a June 2018 summary on how Americans spend their days by the Bureau of Labor Statistics found that while people over the age of 75 read for over 51 minutes per day, those aged 15 to 44 spend 10 minutes or less on this activity, instead choosing to spend their free time scrolling through social or watching Netflix. As has been proven already, this growing trend is not doing our cognitive abilities—or our mental health, for that matter—any lasting favors. So if you want to raise the smartest kid in class, consider adding a few dozen books to your home library. And if you’ve already got novels stuffed into the oven and falling from the staircases, you might want to Learn the Japanese Word That Perfectly Describes Book Hoarders.